Tarot cannot guarantee 100 per cent accuracy in any missing person/child case but it can throw glimpses of the situation to be considered in respect of what may have occurred. Please look to factual sources for accurate information. This is a brief reading and therefore I have not covered every detail at this current moment. The first card I have for Sian asking what happened is the 10 of cups reversed. This immediately would take us to the evening she has disappeared as the 9 of cups would show that someone was at a party/place drinking or where drinks may have been served. The 10 of cups seems to show some kind of emotional falling out with someone as this is a cups/family/relationship card. This would tell me that she might have been involved or infatuated with someone who is 'not good for her' or that an infatuation with someone has ended very badly. Here we have problems in love domestic or social matters that would lead to great disappointment and disenchantment. The page of cups to follow rather makes me feel that someone has acted very immaturely also and maybe even taken a risk with either someone close to them or someone they might have just met. I see that the next card is the Queen of cups which shows a very insensitive woman and someone who lies and is deceptive also a man who normally is fair haired. This person knows where she is now. He is a bully, a drunk and not to be trusted at all. Normally I would gauge him to be around 35 or older but sometimes that is not always the case when the card is reversed as when its reversed he is often very immature and an extremely sneaky individual and not to be trusted. This card tells me that Sian is linked to this person or place. Sian according to this card is WEST looking East. This card can be a Batchelor priest or some ecclesiastical link is attached to it. It does show water and a boat so it could be somewhere near water however we must take into account that this description can appear in a name of a place. Remember that as their is a priest link it could also be somewhere near a church or a name that is linked. The King of cups can also represent the 'FATHER' and it does have some feeling of home links to it therefore I would have thought that Sian is still in Swindon but West. Again I do think Sian is in Swindon and very likely about a distance of TEN or FOURTEEN from her home. These are the two numbers I have. There is a lot of water here and it makes me feel there must be water or some water name where she is? But I see her close to home. I ask when Sian will be found and all I have to give here is the number 20 - this might be 20 days but I cannot be 100 per cent certain about this. We are being asked to bear in mind that there are health concerns on this card as there is a Red cross on this card. This can show hospitals or places that are connected to health, also that churches/churchyards are coming up here. They could also be names of roads/streets. I feel that she will be found somewhere that she is linked to in the past with this card or that someone she is linked to from the past will be part of how/where she is found. Generally the Judgement card gives us a saturday but this is not a guaranteed. This is extremely brief as a reading but I will most certainly go into this deeper and elaborate on various points very shortly. I want to add that the Route Bath Road, Kingshill Road towards Mannington is what is strong with me at the moment. I am feeling that someone here was afraid that there was another 'person' on the scene and they are very insecure about their relationship. I am not liking this card very much because this could be someone linked to Sian in a relationship way. I do think there have been some kinds of quarrel or disatisfaction in love and this has brought about the problem of her disappearing. She might have appeared 'not to care' and this has annoyed the other person and increased their sense of insecurity. The man I see could be under 35 as he is incredibly immature. I think he might wear a ring and I also think that he was either having or hoping to have a relationship with Sian but I feel he is the insecure party here. At this point I am only seeing ONE male in particular and I see rogue dealings here and incredible deception. On the surface of it this person appears to be nice thoughtful and kindly but Im afraid that is just an image being given out. I am aware that the phone has been tracked to the forest. I think someone was scared. and thats the reason why it has been linked there. The next card is the two of pentacles which does seem to show me some kind of water and this to me is a problem, what to do with the phone. I have a feeling the phone and this girl were seperated and it has been put somewhere because it gets it out of the way. Thats my feeling but I could be totally wrong in this. I think it was necessary to get rid of it because it had information that is important as to what has happened to her. I am linking all this information regarding Sian to someone close to her or someone she has just met. This King of Cups reversed wont back down in an argument so he is not going to offer himself up as the personal responsible or who has knowledge of where Sian is that I am able to see right now. I am also getting strong connections to the Library, the Arts Center and car parks in that area of Swindon Town. There may be a light coloured vehicle involved. Devizes Road and Victoria Road come up with me as do Tadpole Road despite the fact that its North. These areas just might link in as some background information to people surrounding Sian I am not sure but I will put them down anyway. The Judgement card also links to the sun which is a travel card as well as family card. so I still feel that there was a message to someone who might have then turned up in a car. The card next to Judgement is the World card. This does suggest Travel. If any harm has come to Sian then she has been hurt inside a car because strength is weak in a vehicle. The World card is notoriously bad for descriptions on where a person may be except that it links back to a place of dancing and having fun which would be the nightclub where Sian was last seen. Therefore though searches are further away I am seeing her closer to where she was but tarot is past present and future and one cannot be sure whether we are getting these descriptions leading BACK to where she was last seen. The World card if it does,nt give a direction would always send us back to the TENS of the suits. Therefore 10 of cups is hometown/origin - 10 of wands shows someone going towards the town center near buildings. 10 of Pentacles shows a family home sometimes dogs are linked here and 10 of Swords is on a riverbed by the water. Accuracy of location is not easy naming names of places in tarot. There is a stretch of water near to Mannington - between streets, Juno, Gold and Dunsford. There is also a big patch of water near to Swindon Hospital. However, I cannot and am unable to say that this is a prime area. I am quite sure the Police Departments have a good idea of where to look. So I am going to leave this information also. Tarot CANNOT guarantee the accuracy of the revelations. Sian has been found deceased. Due to the complexity of there being another body involved I will post news reports and validations once we have the information to hand. My sympathies lie with Sians family and friends and also those connected to the other 'person' who has also been declared deceased from a few years ago and buried. I have placed some of the news reports below to show what Tarot has picked up. Chris did have a boat and loved the water as he he liked fishing (Page of Cups actually represents this) and I did seem to see the water in such a way that I believed Sian was by water. Nobody currently really knows all the movements of Chris throughout that night. He is also described in tarot exactly as the news reports, he was older and acted younger which is what I seemed to feel but because he acted or looked so young it was debateable, however Tarot did pick that up. It also picked up that he wore a ring and that there was an insensitive woman which turns out to be his own mother. I notice that the home card was there but West was actually Chris's home in Ashbury Avenue which is next to a Kidney Patients association which represents the health I think I saw Also Tarot gave water and red cross coincidentally Asda in Haydon Wick is just off THAMESdown Drive and closeby is REDhouse way where he was arrested. He was parked up outside Asda therefore not quite a car park but a good assumption by tarot. East would have been East of his home which is where Sian actually was so Tarot was referring to Chris principally and then linking to Sian. I did not really feel that Sian was in the forest as I mentioned her phone and her being seperated - tarot felt she would be found in 20 but it seems that she was 20 miles roughly from Savernake forest where she was last recorded to be by her telephone. Judgement also led us to understand that finding Sian would lead to something in the past and of course this did occur as another young woman has been murdered a few years ago by Chris Halliwell so it finding Sian did link back to the past. Tarot told us that this man would appear to be nice on the surface as he is thought of that way by all his neighbours and friends but of course that was a false image. I think tarot was very brief in this case as it was not a very indepth reading. I should have seen the Horse within the Cups suit as the horse would have appeared on the Knight of Cups as a pointer to where Sian was but that was my fault for overlooking it. Overall I do think tarot gave us a few ideas of the situation though I am absolutely really devastated for Sians family and that poor young woman who has been left deceased all these years without being found. I was surprised that it unfolded that Chris and Sian knew each other and this was mentioned in tarot that either it was someone close or someone she had just met. It unfolds that Sian knew his children. There are other things in tarot about relationships that have not seemed to come out yet but maybe there is an indication here that they did know each other but as yet I cannot speculate on that. Tarot did see ONE man here and I also note that there was a mention of another person on the scene and that might have referred to the other missing girl without me realising it. Chris did NOT admit to the other murder yet he would have lived with that information for years. Location was not my best effort in this brief reading but again I do think in its own way tarot told us quite a few things that have since proved quite positive. If there are any further thoughts on the tarot or any other validations I will post them as some of it may refer to the other girl who is inextricably linked in Sians case. If anything unfolds I will try to post it here as I did have other location/movements in the tarot which I have not been able to fathom. A man has been arrested on suspicion of kidnapping 22-year-old office worker Sian O'Callaghan. Miss O'Callaghan disappeared on Saturday after leaving a nightclub in Swindon, but a text message sent to her phone enabled police to place her in nearby Savernake Forest, where officers have been searching since. Detectives searching for Sian O’Callaghan have arrested a man on suspicion of kidnap and discovered a car containing pictures of the missing PA.
Wiltshire Police are believed to have swooped on a taxi driver shortly after 11am as he was parked in a supermarket taxi rank in north Swindon. 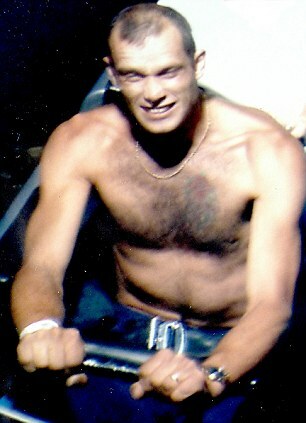 Picture showing Chris Halliwell wearing a ring. Officers were searching Halliwell’s three-bedroom home and planning to examine a long boat he owns on the Kennet and Avon canal. The truth is my mother was a cruel woman and what she did affected me and my brother." http://www.thesun.co.uk/sol/homepage/new....ormal.htmlSian knew the guy who did this to her. TRAGIC Sian O'Callaghan knew murder suspect Christopher Halliwell, the Mirror can reveal. The taxi driver's children were friends with the PA, a source close to the family claimed. Halliwell, 47, has two stepdaughters Gemma and Lorna, as well as his own children Natasha, Carissa and Shane. The friend said: 'Chris knows Sian so she would have not had a second thought about getting into a car with him. 'He's a family man and seems like a really nice bloke. 'He looks younger than he is and gets on well with people. The spot where Ms O’Callaghan was found lies 21km (13 miles) from the Japanese-themed Suju nightclub where she disappeared. It is about 32km (20 miles) from Savernake Forest, where much of the police search has been concentrated.